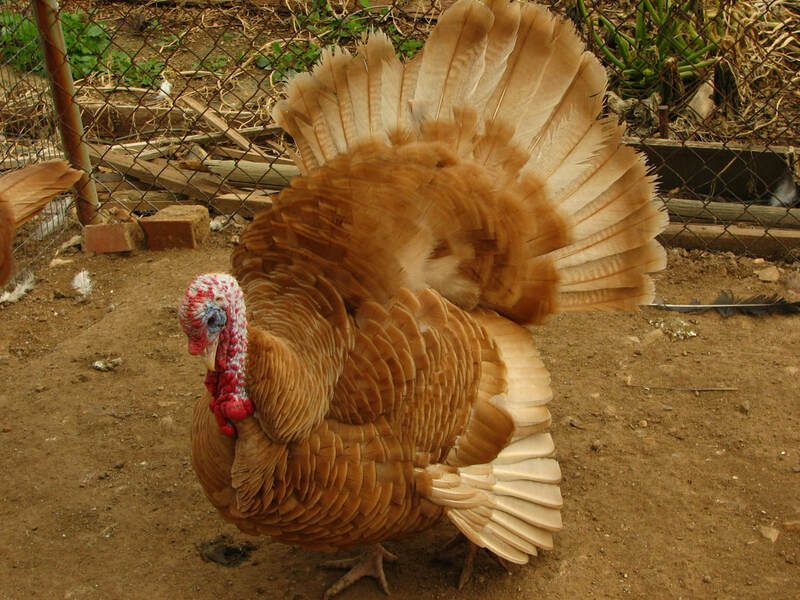 The Self Buff is a new variety of turkey, bred to get as close as possible to the buff color in chickens, and also the old Buff variety which was once recognized by the American Poultry Association, but which was dropped from the Standard in the early 1900's and became extinct. 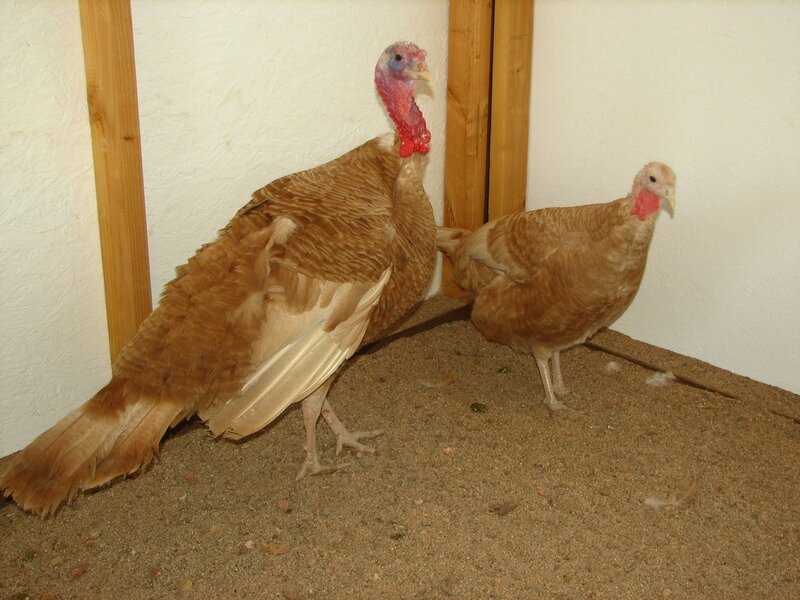 There are other turkey varieties which are called "buff", but none have the rich golden buff color shown in my tom above. Hens are a lighter buff. 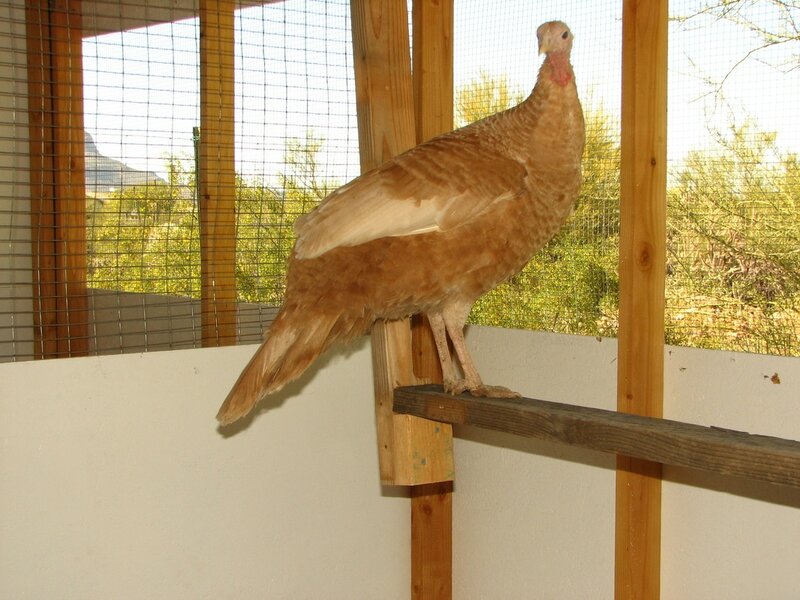 This is a true breeding variety, genotype is black winged bronze based, homozygous for red, brown, and narragansett genes: b'b'rreenn for toms, b'b'rre-n- for hens. Thanks given to Kevin Porter for putting the time and effort into recreating this variety. Because of the rarity of this variety, poults cost more than my other turkey poults: $20 each for straight run poults, no discounts. I would love to see this variety back in the APA SOP. We need dedicated APA members and breeders willing to work with this variety for the required 5 years to submit a proposal for acceptance. Contact me if you are interested in this project.